Aqua-Guard Management, Inc. is a full service swimming pool management company founded in 1992. Since our beginning over 25 years ago, we have grown to over 350 employess serving the entire Chicagoland area from Fox Lake to Olympia Fields and from Yorkville to downtown Chicago. Over the years, it has been our goal to provide our neighbors with the most efficient, highest quality and most reliable service available. To learn more about us, please review our profiles below. Our success has come from finding courteous and knowledgeable staff members. 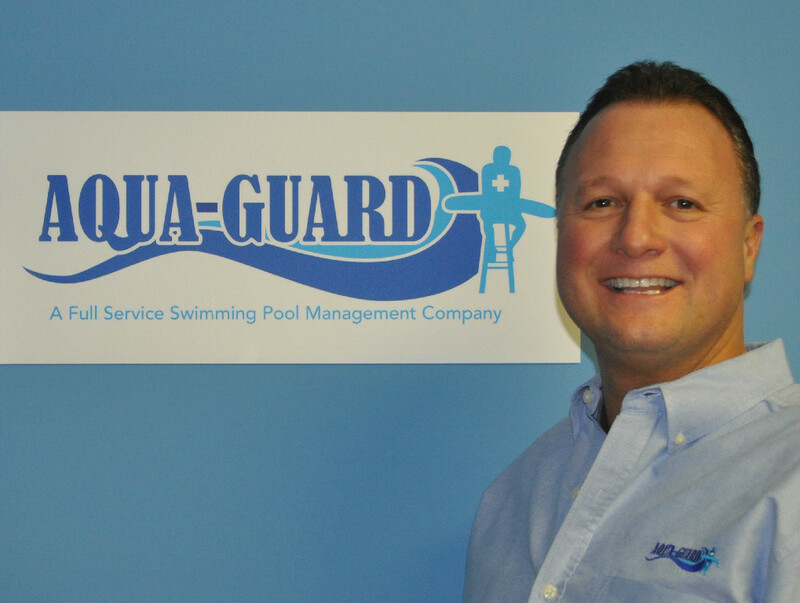 Most Aqua-Guard employees have grown up with the company, learning from the company's founder and president. All of Aqua-Guard's employees must complete a rigorous training program. We adhere to strict guidelines and supervise each operation closely to better serve our clients. By providing a safe and healthy work environment for young people, Aqua-Guard instills professionalism, community values, and responsibility in our lifeguards and managers. We provide a wide range of services for all sizes of commercial and community swimming pools. From the largest operation to the smallest whirlpool, Aqua-Guard has a plan to meet your needs. We understand that each client is unique and has different objectives; Aqua-Guard tailors each of our services to ensure that your organization is getting the highest value and best service possible. We offer lifeguard and management services, daily pool maintenance and cleaning, pump room maintenance and repairs, 24-hour emergency repair service, and health department maintenance requests. We provide payroll and comprehensive insurance, swimming lessons and aerobic classes, opening and winterizing your pools, and much more that other pool companies may not offer. 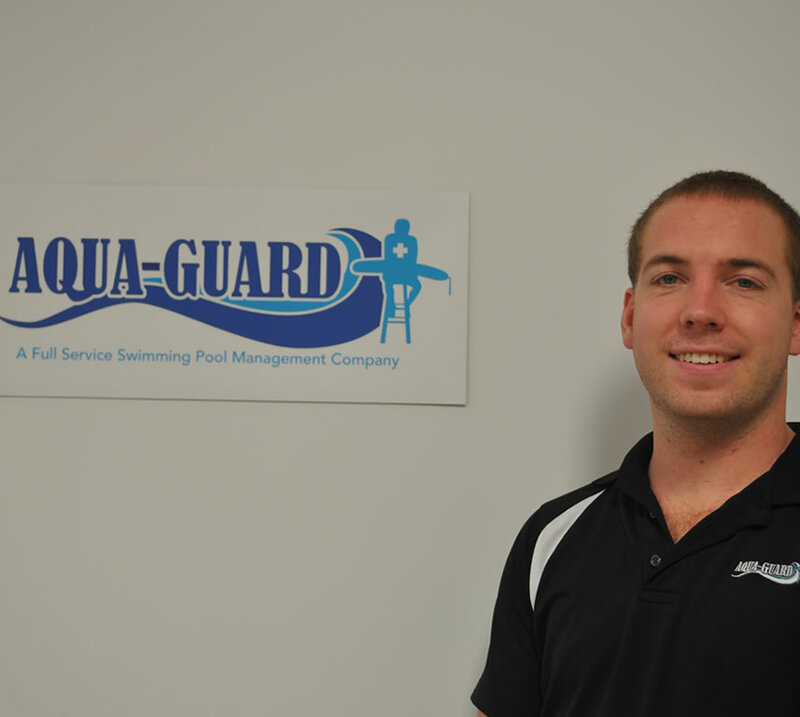 The Aqua-Guard staff is one of the best-trained and most innovative pool management companies in the Midwest. Aqua-Guard is number one when it comes to getting your pool inspected, opened, and running at the beginning of the summer. We work hard to maintain a positive working relationship with local health departments to keep our clients in compliance with all local codes and ordinances. Look for our Aqua-Guard staff in your community. You will notice our friendly, responsible employees wearing their blue Aqua-Guard shorts and red or white Aqua-Guard tank tops. Never hesitate to ask a question or point out a potential problem; we're here to help you enjoy your summer. We encourage regular feedback from your members using our on-line feedback form. We can only better serve our clients if we know what their concerns are. While most pool companies keep their clients at a distance, we encourage phone calls, emails, or face-to-face meetings to discuss any issues you may have. Your feedback and comments are an "opportunity" for us to do continuously improve. So when you want a professional, competent, and service-oriented team at your pool, contact Aqua-Guard. We will respond! Chris is married to Julie. He has four children. He enjoys warm weather vacations, scuba diving and boating. St. Mary’s College, Winona, MN. BA degree in Criminal Justice. Chris is CPO certified and APSP tech certified. Member of the Midwest chapter of the APSP (Association of Pool and Spa Professionals). Chris’ favorite part of the job is working outdoors and troubleshooting pool problems. He also enjoys building relationships with the property managers and board members. Alison has 3 children and loves being a mom. She enjoys vacationing; both water and snow skiing, reading and spending quality time with family and friends especially while sharing new adventures. Alison graduated from Western Illinois University with a degree in English, History and Health Education. She is a member of the Association of Aquatic Professionals and is a certified CPR, First Aid, AED and Lifeguarding Instructor. She is also a Certified Pool Operator (CPO). Alison’s favorite part of the job is educating not only the staff but the residents on water quality and safety. She enjoys hiring, training and getting to know the staff. She loves to teach important life-skills and watch each individual grow not only as an employee but as a person. 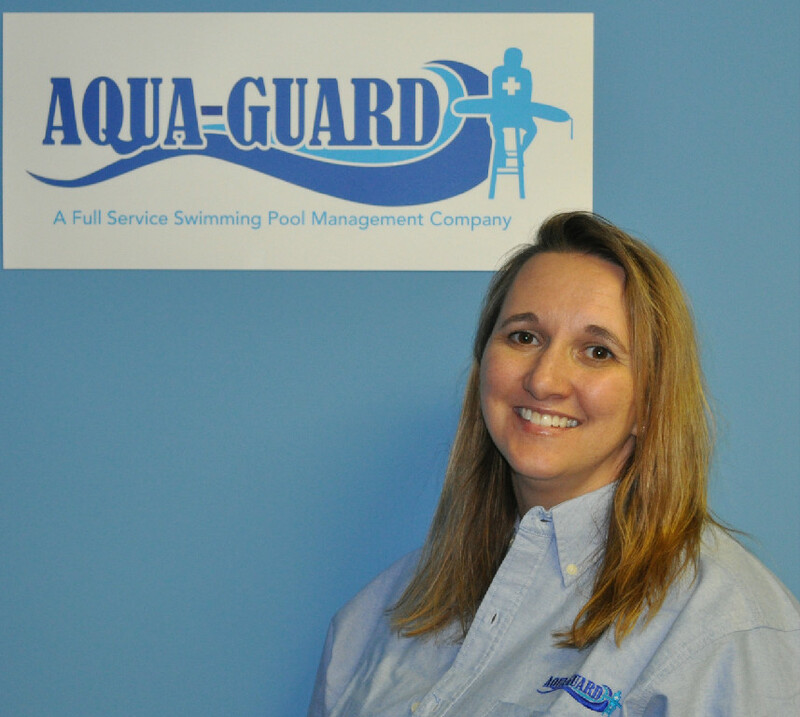 She enjoys educating Aqua-Guard Management’s customers on water safety and guidelines. She also loves providing great customer service as well as getting to know the residents. Alison’s favorite vacation destinations are Disneyworld with the kids, Oak Creek Canyon in Sedona, Arizona and anywhere ocean or pool-side on a hot sunny day with a book in hand. 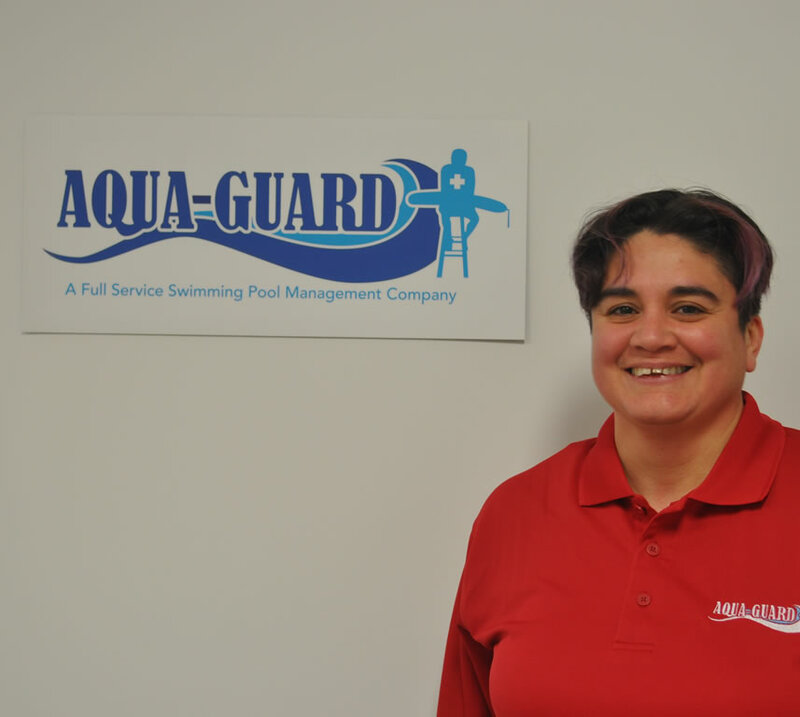 Danielle has one younger sister, Antonia, who has also worked for Aqua-Guard. Danielle loves to do yoga, go to the gym and be outside as much as possible in the warmer months she is not a fan of winter at all! Graduated from Northern Illinois University in Dec. 2011 with a B.A. in Communications. Danielle is CPO & CPR certified. She is also an instructor for both our CPO course and life guard certification course. Danielle's favorite part of the job is getting to know each and every employee that Aqua-Guard hires for a summer season. It is always amazing getting to know our employees and watching them grow and mature throughout the season and years. Danielle loves the Arizona heat, hiking Camel Back mountain while visiting is always a beautiful and fun adventure. Evan has one older sister, Alyssa, who has also worked for Aqua-Guard. Evan enjoys playing basketball, and spending time with friends and family. Evan Graduated from Western Illinois with a Marketing degree. Evan's favorite part about the job is interacting with the property managers, as well as the employees. Watching the employees develop into great lifeguards as the summer progresses is a very rewarding feeling. He also enjoys being outside and around pools for most of the day in the summer. Evan's favorite place to go on vacation is Cozumel, Mexico. He loves the weather, food, and most importantly the scuba diving! Adrianna has been happily married for 5 years, she loves traveling on long road trips, and enjoys being in nature while hiking and camping. 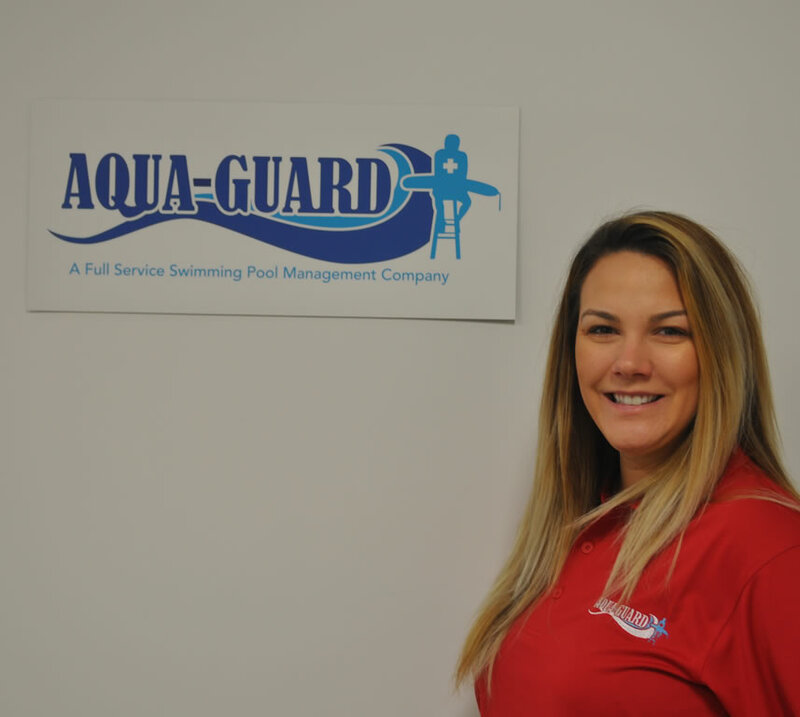 Adrianna has been in the pool & spa industry for 18+ years, she is a certified service technician with APSP and also certified by Pentair, Zodiac, Raypak, Coverstar, as well as, CPO certified with NSPF. Adrianna loves that she gets to spend a lot of time outdoors, she also enjoys finding a solution to any problem at hand, whether it be equipment failure, lifeguard questions, or property management issues. Adrianna's favorite destination is Boston, Massachussetts, there is so much history and culture around the town, and the bars and food are phenomenal. I was swimming at Broad Beach on the Gold Coast of Australia. On most days the rip currents here are very strong. A rip current is where the water that has been brought in by the waves and then goes back out into the ocean, sort of like a river going the opposite way in the ocean. They usually move very fast and can take a person a couple of hundred yards in a matter of minutes. I was swimming out past a sandbar where the waves break; I was body surfing and what not. There was a kid nearby who looked to be about 16. He gradually began drifting further and further away from me. I thought he must be a good swimmer if he is out that far. He then started to yell for help and began waving his hands. The closest lifeguard was on shore about 500 yards away. I decided I'd better help him; it didn't seem like he was that far away from me until I had to keep swimming to get to him. By the time I got to him, I realized how far we were. I remember not being able to see the shore. But I stayed calm, told him to relax and that I would help him get back to shore. I had no tube or flotation device which made the swim back brutal. I swam on my back and kept him on top of me with my arms underneath his arm pits. I swam him at least 200 yards to where we could stand. I was exhausted. He was very thankful. The funny thing was that the lifeguards saw the whole thing happen and told me that I looked like I knew what I was doing, so they just let me take care of it. Kinda lazy, I thought. But I told them I was a life guard last summer. Terry Herlihy was an employee of Aqua-Management who was studying abroad in Australia at teh time of this incident. Aqua-Guard came highly recommended to me when I was looking for a new company 6 years ago. I have worked with Aqua-Guard at multiple facilities and my current property has just signed a 3 year contract with Aqua-Guard.